Throughout his remarks, Wheeler focused on competition for BDS, competition in the video marketplace and competition for new services and innovation that flows from an open Internet. He said this action demonstrated that the market is changing. He cited how new technologies offer IP-based products alongside traditional legacy circuit-based products and how new entrants are playing a growing role in the BDS market. “Without a healthy BDS market, we put at risk the enormous opportunity for economic growth, job creation and U.S. competitiveness that 5G represents,” he added. 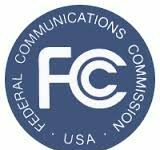 Wheeler said the FCC data as of 2013 show competitive pathways – including cable – reach less than 45 percent of locations where there is demand. And while cable presence grows, some locations are not benefiting from competition. That fresh start calls for broad principles to find common ground for the Commission to determine the best ways to act,” Wheeler said, adding he wants the Commission to adopt the proposed BDS framework this month and conclude the proceeding by the end of the year. Wheeler said the regulatory framework must be technology-neutral, and that companies and technologies that deliver the same kind of BDS should be treated the same. This means where “TDM and IP deliver substitutable services, the market must be judged by looking at both,” he explained. However, he added the FCC still the transition from TDM to IP. “The supply of circuit-switched BDS is still big business, but the future is in IP-based, packet-switched communications,” Wheeler said. It is why Wheeler has asked the FCC to vote declare unlawful contract terms used in a series of tariffs that include so-called “all or nothing” contracts that require a customer to make all of its purchases on a single set of terms. “Unfair contractual terms can both slow the transition by customers away from TDM and to IP and, by limiting the use of IP-based products like Ethernet, actually discourage investment in the construction of new BDS facilities,” he said. He also addressed set-top boxes as a threat to what should be the golden era of video competition, which is characterized by consumers’ ability to mix and match the packages of programming they want from a single provider or many over dedicated network facilities, using the Internet or both. 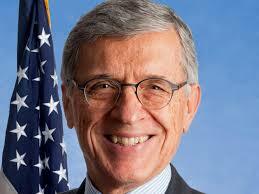 Wheeler also called for attendees to support net neutrality. “Access to the Internet may be the most important commodity that exists today,” he said. “In an economy built around information, broadband is the key to individual and corporate opportunity. Broadband must be fast, fair and open. The Chairman said he believes it is ironic that the same organizations that complain the open Internet rules aren’t sufficient also complain about the Commission’s ability to create certainty through “ex-post examination” of the market. Wheeler said it is time for a fresh start. So, yes, it is time for a fresh start, but the fresh start would be summed up with three words: Competition, Competition. Competition.